More than 20 years ago I bought two paua shells from a shop in Hermanus. This pendant contains some of the last bits. 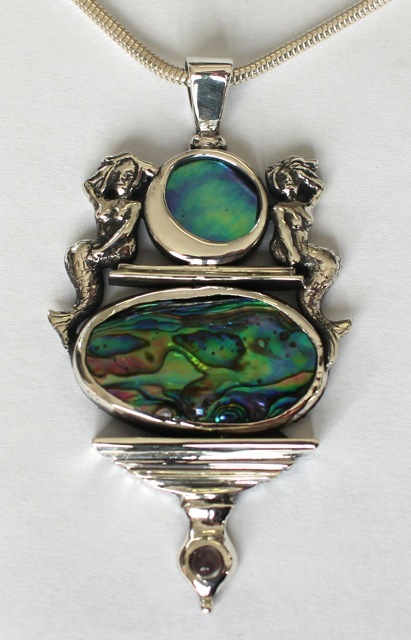 I thought I should honour the shell with mermaids, and made this pendant.